The Ilmin Museum of Art introduces the currents of contemporaryvisual culture. The Ilmin Museum of Art consists of three exhibitionhalls—one on each of its floors—as well as lecture hall,documentary archives, and other exhibition-related spaces.Through producing exhibitions on national and internationalcurrent, public, and contemporary visual culture, the IlminMuseum of Art seeks to create a dynamic platform for thediscussion and understanding of the aesthetic values our time andpeople. To achieve this we host a variety of exhibition programsand lectures, creating opportunities for understandingcontemporary visual culture from many angles. The Ilmin Museum of Art also runs the country’s only documentaryarchive, regularly hosting screenings; and publishes Ilmin VisualCulture, a periodical on the theory of visual culture. Though theseefforts the Ilmin Museum of Art is dedicated to the archivization ofimages. 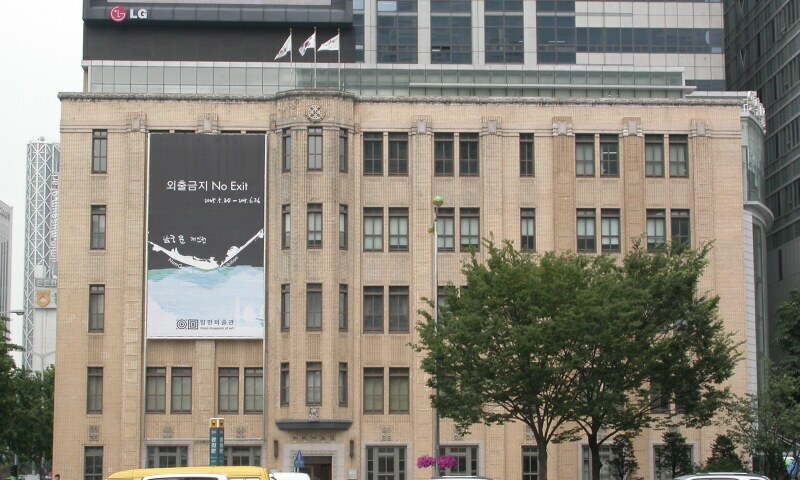 In October 2010 the newspaper museum Presseum,originally housed in the Dong-A Media Center, moved to the fifthand sixth floors of the Ilmin Museum of Art to form a new visualculture complex. Pillar Bookshop, Artshop, and Café imA are alllocated on the first floor. Through continuously seeking out the multifaceted phenomena ofour society and culture and pursuing their meaning, the IlminMuseum of Art promotes understanding with the public as aprogressive producer of culture at the forefront of its time.